This is a Persona 5 article on Tv Shopping. 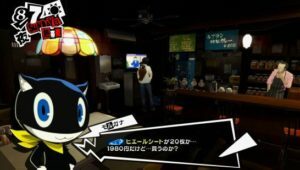 Here you’ll find information about Persona Tv Shopping, product list and time that is found in Persona 5. Every sunday, the protagonist can watch the Shopping channel. Here, a number of weekly discounts or rare items are available for purchse. These are only available on the day they are offered, so be sure to jump on any you want. Thanks, this is super useful! Looks like just about everything TV Shop is worth getting, this’ll save me a lot of deliberation.